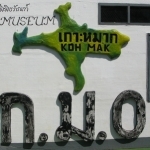 Koh Mak history is surprisingly rich and well chronicled. Towards the end of 19th century, Chao Sua Seng, a Chinese Affairs Officer, appointed to the province of Prachankiriket by Rama V, established a coconut plantation on Koh Mak. At the same time, another Chinese Affairs Officer,Luang Prompakdee and his wife, Khun Mae Mulee, set up business around the town of Ban Koh Po in the same province, trading timber between there and Bangkok. It became known that Chao Sua Seng wished to sell on his plantation and Khun Mae Mulee stepped in buy it and the island for the princely sum of 80 Chang, as the currency then was, equating to about 24,000bt today. With French expansionism rampant along the eastern seaboard of Thailand at the start of the 20th century, King Rama gave up the province of Prachankiriket in exchange for the French withdrawal from the land around Chantaburi and Trat, thereby both appeasing them and stopping their advance. Prachankiriket became what we now know as Koh Kong province in Cambodia. Khun Mae Mulee and her husband, Luang Prompakdee (Plian Taveteekul) continued to live in Ban Koh Po, until an arson attack on a close friend, prompted them to move the family away and they settled on Koh Mak, for good, around 1911.Their descendants, who belong to the Taveteekul extended family, still own the biggest part of Koh Mak today. Incidentally, the name, Koh Mak, derives from koh (island) and mak (betel tree), as betel palms once covered much of the island. 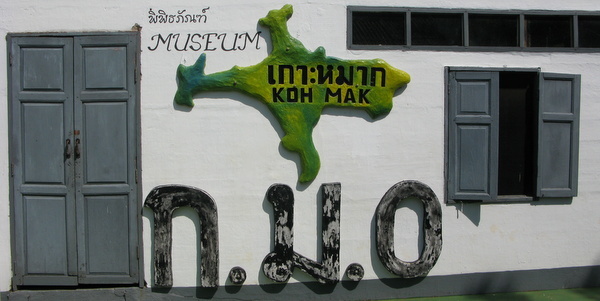 At the entrance to Koh Mak Seafood, tiny museum in an 80 year old house, with artifacts and photographs showing the history of the island. Takes about 20 to 30 minutes only with owner, Khun Tarin, a descendant of Luang Prompakdee, often on hand to explain everything.